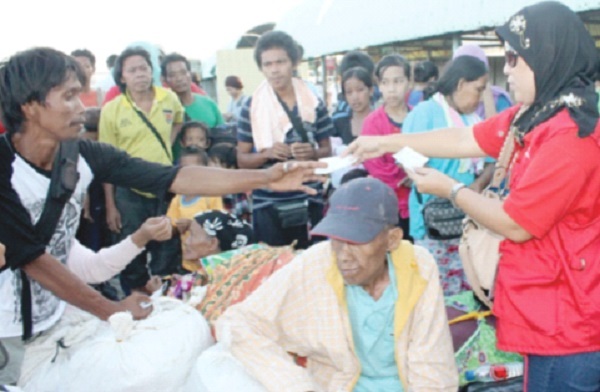 Filipinos in Sabah plea to cast their votes here | Daily Express Online, Sabah, Malaysia. Kota Kinabalu: Filipino voters in Sabah are calling on the Philippine Embassy to set up voting centres in the state’s major districts to facilitate overseas absentee voting (OAV) process for the 2019 midterm polls in May. They said they were unable to exercise their rights to participate in previous elections because of the absence of polling centres in their working areas. “We hope and wish that the Philippine Government through our Embassy in Kuala Lumpur will seriously consider our request this time around,” they said. There is no point requiring us to register as voters when renewing our passport during the consular services conducted by our embassy staff if voting facilities are not made available to us during every election,” they said. In the previous elections ( 2016) qualified Filipino voters from Sabah were required to fly to the embassy in Kuala Lumpur to cast their votes. Many OFWs (Overseas Filipino Workers) and Filipinos in Sabah are now active voters, but inconveniences due to great distances of the voting centers discourage them from voting. Many Filipinos here failed to vote during the previous elections because the Embassy is located in Kuala Lumpur - close to a 3-hour plane trip from where they were. To vote for the 2016 presidential election, they need to prepare a budget of not less than RM500 . According to the Commission on Elections, the OAV is set for the month of April. Out of the 18,700 Philippine citizens in Malaysia who are registered voters, only 3,000 people had turned up to cast their votes in the 2016 general elections. Most of the voters were those residing and working in Peninsula Malaysia.